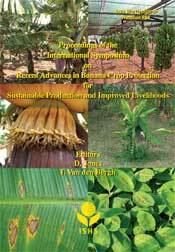 HOW TO CONTROL AND PREVENT THE SPREAD OF BANANA STREAK DISEASE WHEN THE ORIGIN COULD BE VIRAL SEQUENCES INTEGRATED IN THE BANANA GENOME? 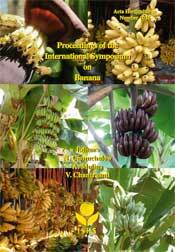 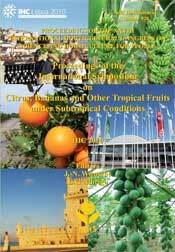 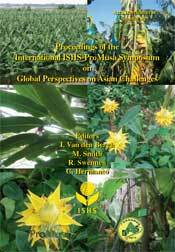 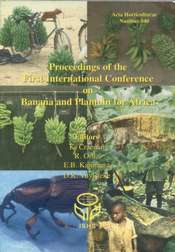 IS CHEMICAL CONTROL OF MYCOSPHAERELLA FOLIAR DISEASES OF BANANA SUSTAINABLE? 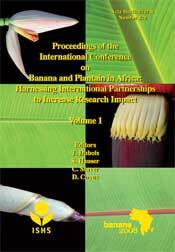 PRE-EMPTING PLANT-PARASITIC NEMATODE LOSSES ON BANANA IN AFRICA: WHICH SPECIES DO WE TARGET? 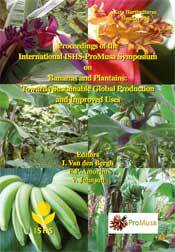 EXPLORING THE BANANA STREAK VIRUSES - MUSA SP. 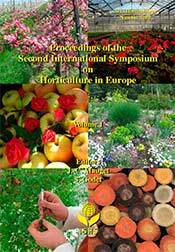 PATHOSYSTEM: HOW DOES IT WORK? 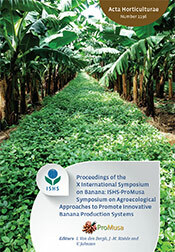 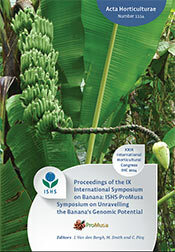 MANAGING DISEASES AND PESTS OF BANANA: THE WAY AHEAD?